Drain cherry liquid into 1-cup measuring cup; add enough orange juice to make 1 cup. Set cherries aside. 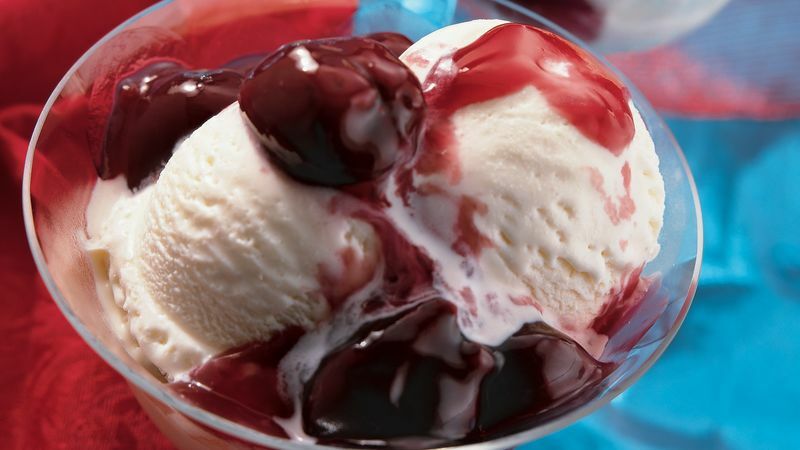 In small saucepan, combine cherry liquid mixture, sugar and cornstarch; mix well. Cook over medium heat until mixture comes to a boil, stirring constantly. Remove from heat. Stir in brandy and cherries. Serve sauce warm or cold over individual servings of ice cream.